The last 10 days have been tough as a Clemson fan, beginning with the beat down by FSU and carrying through the sluggish performance at Maryland. And if we, as Clemson fans and alums, feel the malaise, I can only imagine what the players and coaches are experiencing. In fact, I consider myself pretty even keeled - not getting too excited with the highs nor too down with the lows. And yet, here I am with a ting of apathy setting in. Of all the goals left on the table, most Clemson fans would trade the remainder of these goals for a win over their rival. To be honest, the last four years have not been pleasant, and there's only so many times you can bring up the overall series record or 63-17 without seeming petulant. To end the streak would do wonders for the Clemson fan base along with providing closure to the Tajh & Chad Morris regimes. 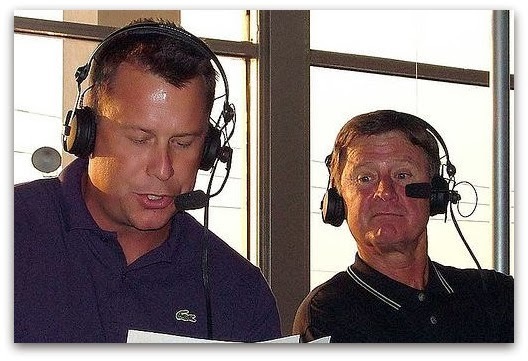 And Dabo could use a win over Spurrier, if only for the sound bites from both guys. Other than a Thursday night affair with Georgia Tech, Clemson should begin preparing for South Carolina now. Installing new offensive wrinkles and the defensive gameplan. And the whole team should be remind each other to not give up on the running game like we have in past losses. One more thought - this is Clemson's year to end the streak. This is most likely the last year of Boyd, Watkins, & Morris all together, and next year Clemson could experience a few growing pains as they break in a new offensive coordinator and talented, but young guys at key positions. On the flipside, this year's South Carolina team is down a tick from year's past. But next year, as their young defense grows up, they could be back to form. Clemson needs a sense of urgency about this year's game they haven't played with in the past. In 2011, Clemson garnered their only BCS bid by winning the ACC Championship. For discussion purposes, the 2013 version of that ship has sailed, leaving the BCS at-large bid as the only viable route to the premier bowls. After doling out the automatic qualifiers, there will only by 4 slots available for at-large teams. Unless something happens to Fresno State or Northern Illinois, or the winner of the AAC surpasses them in the BCS rankings, then one of those two will steal an at-large bid, leaving only three at-large bids for the other conferences to fight over. Of the three available bids, one will most likely to the SEC, leaving the Pac 12, Big 12, and ACC to battle for the two final bids. If Oregon makes the BCS Championship game, the Pac 12 could easily steal a second bid as a replacement for the Rose Bowl. As long as Stanford or UCLA don't collapse, they should qualify and be available to the committee for selection. For Clemson to have a chance at an at-large birth, they need accomplish Goal #1 and hope for some Pac 12 or Big 12 carnage behind them. Even then, there is no guarantee they are selected, though I would expect them to be a legitimate Sugar Bowl contender if the SEC Champion plays for the BCS Championship (which it will). Clemson has won 12 games in their history exactly once: 1981. And while this team can't equal the National Championship that team won, they can equal their win total. Last year, Clemson crossed the 11 win threshold for the first time since that year. This year, Clemson is looking to add one more win than last year's squad. For Clemson to reach 12 wins, they must start with the first two goals: beating South Carolina and earning a BCS at-large bid. They also need to need to take care of business this weekend against Virginia and hold off a pesky Georgia Tech team. Even then, Clemson must still win their bowl game, even if they aren't selected as a BCS at-large. These goals aren't a given, but they certainly aren't out of reach, especially if the previous goals are unlocked. If you're seeing a few comparisons to the 1981 team, then you aren't mistaken. That team set a new standard for future Clemson teams to strive for. Unfortunately, in the 30+ years since that season, Clemson hasn't been able to recapture the magic of that year. However, over the last two seasons, Clemson is beginning to reestablish the bar set by the 1981 team, and this year, Clemson has a chance to accomplish many of the same feats that team accomplished. And as Clemson tastes success, hopefully it breeds more success. But for this goal to work, Clemson must succeed at each of the first three goals: Beat South Carolina, earn a BCS at-large bid, & win 12 games. Those accomplishments mixed with a few losses by teams in front of them (see Saturday night, Miami for example) should put them in great position to finish in the Top 5. Clemson is starting to see lines drawn in the sand between "Clemsoning" and just not playing well in a big game. Following the Florida State game, many people wanted to throw the "Clemsoning" term around, but as Scott van Pelt penned, that was just low-hanging fruit and it shouldn't be applied in this case. If Clemson can accomplish each of the above four goals, then they will have defeated their rival, won 12 games, finished in the Top 5 of the final rankings, and have a BCS trophy in the trophy case. In addition, that would make Clemson 23-3 over the past two seasons, or one of potentially only five teams (Bama, Oregon, Ohio State, Florida State) capable of claiming as such. And if you give a team only three losses (all to ranked teams) over a two year span, then that should be sufficient to forever dispose of the term "Clemsoning". There's only one thing longer than Dabo's list of anecdotes: Maryland's injury list. Unfortunately for Clemson, that list comes one week too late. Last week, Florida State reminded Clemson why they haven't won a National Championship in 30+ years as they dominated all three phases of the game. And to be honest, Clemson didn't look that great in the previous week's win over Boston College. This week, Clemson will look to avenge those two weeks as they take on a Maryland team that started strong, but has since given way to last year's squad as injuries have mounted. How this game goes will lie solely on Clemson's shoulders as they should be able to do to Maryland as they wish. The question will be whether there is a hangover effect from last week or whether Clemson uses the beat down as motivation. Look for the Clemson defense to set the pace early as the Clemson offense tries to rekindle the Syracuse magic. Also, look for Clemson to force the issue in the run game in an effort to balance themselves out. To me, the only concern here is that the line is only 13. In this case, I feel better betting against Maryland than I do picking for Clemson. Regardless, Clemson wins by 3 scores. If the ACC had more than 1 team, you would actually circle this game as a “trap situation” for the Overrated Dabos. But the rest of that pathetic conference is just putrid so the Tigers will start looking good in their own minds again. They don’t play anyone else until they come to Columbia, and old Tajhie-poo needs to pad those stats against the nobodies to begin a new Heisman campaign. Sammy will put down the herbs to make sure everyone knows he is still on the team as well. Maryland has no defense as exhibited against the Noles earlier this season. Of course, Clemson’s defense is non-existant also so maybe that is kind of a wash. The difference will show itself on offense. Those old Turtles start quickly at home, so they will do some crawling early and maybe even get a small lead. But the kittens know they have to do some big scoring and rout the College Park Shells to convince the upstate masses everything is still okay. It will get ugly late. South Carolina will be making their inaugural trip to Columbia, MO this week, and it has city officials from both Columbias on edge. The officials from Columbia, MO are worried the South Carolina fans, whose only familiarity with Missouri stems from weekends at Branson, may show up at the stadium in RV's demanding concerts by the Oak Ridge Boys & the Gatlin Brothers. And when they realize the only show in town will be headlined by the Ole Ball Coach, well, officials are worried how they might react. On the other hand, Columbia, SC city officials will be traveling with the Gamecocks to Columbia, SC to try and solve two concerns. First, in an effort to curb violence in Five Points, city officials will be testing their new Five Points security measures on the Gamecock players since it will prepare them for future encounters. And secondly, those same officers can monitor the players to ensure they don't attempt to go rogue and defect from Columbia, SC to Columbia, MO. What's ironic is that the tighter city officials monitor the football players, the worse they play. If the players realize there's no chance for defection, it may crush their morale leading to a lackluster performance (see last week, Tennessee). Conversely, if the South Carolina players think they have a shot at defecting from Columbia, SC to Columbia, MO, then they may play without the fear of returning home to Columbia, SC. Think of it like Clowney's career: they less he's covered, the better he plays. Dylan Thompson (Matt Saracen from Dillon High) plays like he did against Clemson and Matty Mauk (Mox from West Canaan High) cools off bit. We went with the opening line in this game, where Carolina was favored by 5 and that was right. Obviously that number has corrected itself and Mizzou is actually now favored by 2 or 3 depending on where you look. The Gamecocks have one more road game (we will have been away in 5 of our first 8 when this is done) before closing the season with four games in Columbia. This is a game that the entire world has decided will be a Tiger romp. They may be right if Carolina plays like they did in Knoxville. But honestly that trip to UT was vintage Connor Shaw on the road. When things get really tough, he usually has an injury and plays bad. So he’ll step aside again and let the maverick Dylan Thompson take the reins. I sense that Carolina has too much going against it to win, and Mizzou feels like this will be the game that certifies that they are in control of the East now. Who could argue with them if they do win? So with the entire planet guaranteeing things are going that way, I will jump on the minority bandwagon. I need the points in this little contest. Late in South Carolina's game against Tennessee, Spurrier inexplicably called two timeouts on 4th down before finally deciding to punt. A few minutes later, those two timeouts would come back to haunt South Carolina as Tennessee kicked a game winning field as time expired. After the game, all anyone wanted to know was what was Spurrier thinking. No one knows, even Spurrier. He heard the beginning of Todd Ellis’ sales pitch on Burnlounge. He was intrigued and wanted to hear more. He received a text from Stephen Garcia saying he was running a few minutes late to their postgame rendezvous. Spurrier didn’t want Garcia to feel awkward while waiting. He has a fondness for Rocky Top and wanted to see how long the Tennessee band could play it uninterrupted. He wanted to catch the end of the Jadeveon Clowney/Ricardo Hurley hangman game. He needed both timeouts to finish it. 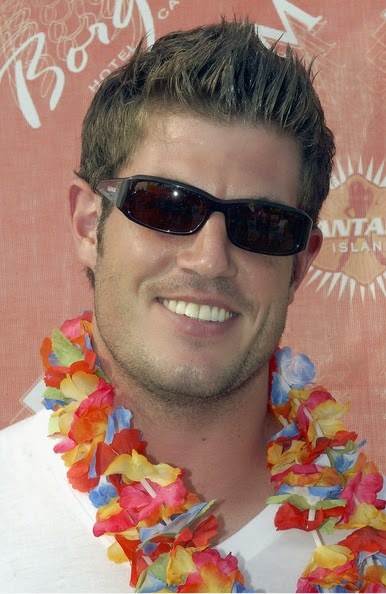 Jesse Palmer was just coming on the ABC broadcast and Spurrier wanted to be there for his favorite former quarterback. Spurrier heard a rumor about two coaches possibly getting into an argument. After missing the first coach on coach crime, Spurrier wanted to make sure he was available for round 2. A few of the defensive players were suspended for 10 minutes of real time and Spurrier wanted to teach them a lesson by making them not miss any playing time. He was only one timeout behind "You can't spell timeout without UT" Phillip Fulmer for most wasted timeouts and felt like there was no greater place to own the record than on Phillip’s old turf. The coeds from Tennessee’s “Orange Pride” hostess program were spotted on the sidelines. By the time Spurrier realized what was going on, he had already burned two timeouts. Just last week we were spreading the word about how this Clemson team was different than the previous versions. How this one had matured and was ready to reach new heights - maybe even heights unreached since 30+ years ago. Then Saturday night against FSU happened, and all anyone has wanted to talk about was how "Clemsoning" was not dead, but alive and well. Some even went so far as to write articles about how this is the ultimate "Clemsoning" episode, one which Clemson may never recover from. And yet, all anyone wants to talk about is Clemson and their loss to Florida State (don't get me wrong, it was magnificent - and at home). A few weeks ago we broke down whether the myth of "Clemsoning" has some merit. Our findings show it is more than merited during Tommy Bowden's tenure, but not so much in Dabo Swinney's tenure. In fact, Bowden's Clemson teams finished 24th out of 25 teams analyzed. Against those same teams, Dabo comes in 11th. Below is the updated information, along a brief explanation of each category. Once data was attained for each category, the teams were ranked 1-25 with the first ranked team receiving 25 points and the 25th ranked team receiving 1. Ties were given average credit. The results you see below are the scores for each category, not the actual result. What the data shows is that even after losing to the 5th ranked team, Clemson is still one of the top teams since Dabo Swinney arrived. And more than that, Clemson shouldn't be judged solely on the Florida State game, but also on how they respond the rest of the way. So, enjoy the data, review the data, question the data. Question whether the "Clemsoning" term should be applied to Clemson, given to someone else, or retired all together. But don't question whether this Clemson team is defined by those previous versions. I'm seeing a ton of "pulled a Clemson". That's low hanging fruit and I disagree. This is about what FSU did. Dominant. Thorough. Serious. While most Clemson and South Carolina care little for consolation prizes such as polls, there is still some merit to taking a macro look at the season and seeing where each team fits. For Clemson fans, the embarrassment of Saturday night does not wipe out the season. Yes, it removes any chance to win a National Championship, or even an ACC Championship, but a BCS bowl and a win over your rival are still on the table. The same for USC - a chance at heading to Atlanta is essentially over, but reaching 10 wins and an unprecedented 5 straight wins over Clemson are left to play for.